Does Pinterest Really Have More Traffic Than Tumblr? Compete Says Yes. 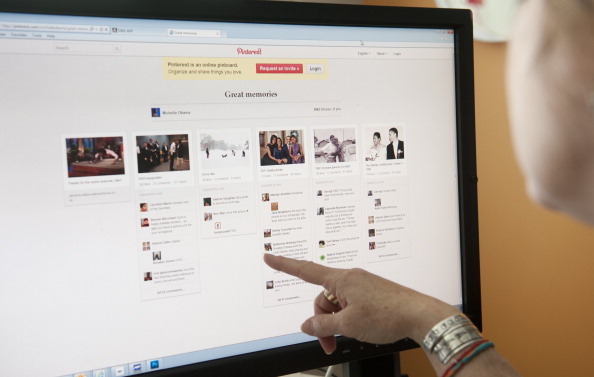 Pinterest has been on a roll this year with some calling it the hottest startup of 2012. Not only are they growing faster than any independent site in history and have hundreds of brands using them, but they’re also attracting attention for its design that has several companies mimicking it (e.g. MySpace and eBay). Today, Compete seemed to give Pinterest another achievement that it can hang on its shelf: it had finally surpassed Tumblr in the number of unique visitors to the site. It claims that in August 2012, Pinterest received more unique visitors over the microblogging site…”ever”. Each service focuses on bringing usefulness to the same individual, with Compete emphasizing digital marketers, and it claims that while they’re similar in that regards, they’re not so much when you dive deeper. If these statistics are to be believed, one thing that is obvious why Pinterest received more traffic is most likely because it has a reputation for having sticky content, that is content that keeps bringing you back for more. Once you start to pin something, you might find yourself spending minutes or hours (or days?) putting together your pin collection on the site. But on the other hand, Tumblr offers a different focus of satisfaction, allowing people to share their thoughts and their GIFs — not necessarily something that makes you want to keep coming back for more. Regardless, without a doubt, both services pull in an enormous amount of traffic. Based on Compete’s analysis, the “appeal towards either site” is very different. For Pinterest, the demographic tends to match the domestic Internet average while Tumblr is more suited for the younger audience.